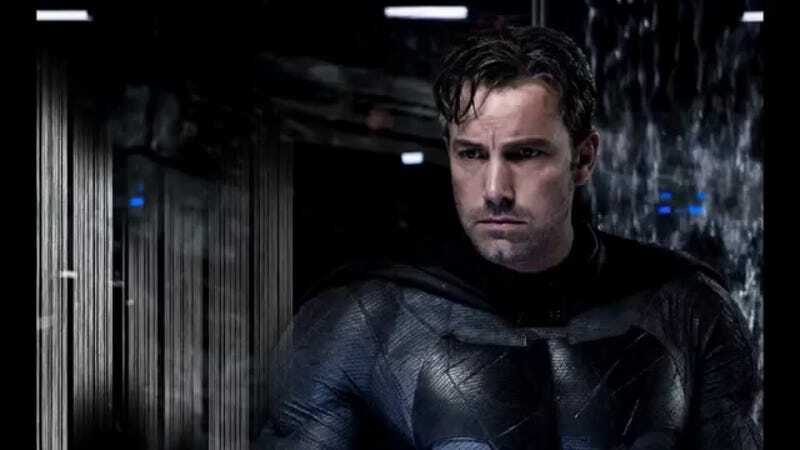 We all suspected, but the William Morris Endeavor talent agency (in a lengthy interview with The Hollywood Reporter) has confirmed: Yes, Ben Affleck, the Dark Knight of DC’s Cinematic Murderverse the live-action DC movie franchise, has written his own damn Batman movie. Before you get too excited/relieved, it’s worth pointing out that Warner Bros. isn’t necessarily making this solo Batman movie or even choosing Affleck’s script for it, although they would be imbeciles of the highest order not to immediately agree to both. The news here is that the co-CEO of Affleck’s talent agency says Affleck has written a Batman movie script, and it’s “really cool.” Now this gentleman may be a touch biased, but it’s still nice to know that Affleck is genuinely invested in playing Batman beyond his contracted appearances in BvS and the two Justice League movies. Also, I’m still 100% confident this movie will be officially announced, using Affleck’s script, as fast as WB can make it so. Besides the fact that Affleck is no slouch when it comes to screenwriting, WB very much doesn’t want to piss its new Batman off. Anyway, for those of you pleased with Affleck’s recent performance as the Dark Knight in Batman v Superman, or those of you who perhaps might have found the script somewhat.... lacking, this is absolutely good news.